Cabinets ship unassembled, Saving You Hundreds! Locking doors keep your merchandise safe! Aluminum extrusions provide stability and an upscale appearance! 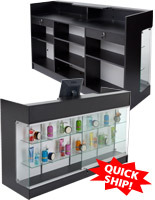 These glass cabinets will proudly show items in your retail store. 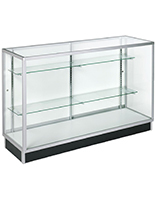 The 6' glass cabinets, also known as display cases, are crafted from heavy-duty, durable tempered glass. 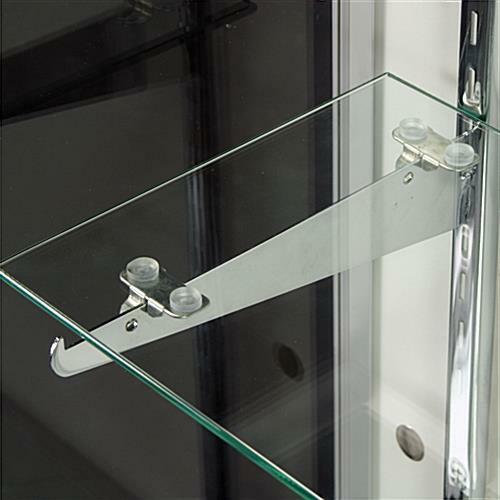 Tempered glass cabinets are much less likely to break than traditional annealed glass cabinets. However, if they do break, the cabinets will break into small, manageable pieces, rather than large, dangerous shards. 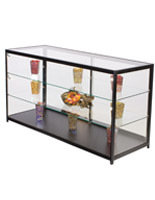 The glass cabinets are perfect for showcasing artifacts in a museum, souvenirs in a gift shop, trophies or awards in a school or lobby, jewelry in a jewelry store, makeup in a department store, and much more. The possibilities are endless with these glass cabinets. 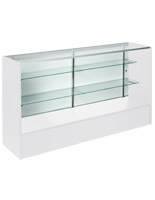 These glass displays, glass cabinets feature two adjustable-height shelves. The top shelf is 10" deep, while the bottom is 12" deep, sticking out just a little from the upper shelf, creating a tiered look. 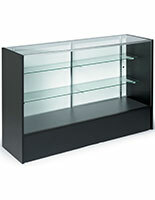 The adjustable shelves are great for dynamic product lines, or seasonal displays within the glass cabinets. The cabinets also feature a recessed 4" kick plate to protect it from heavy foot traffic. 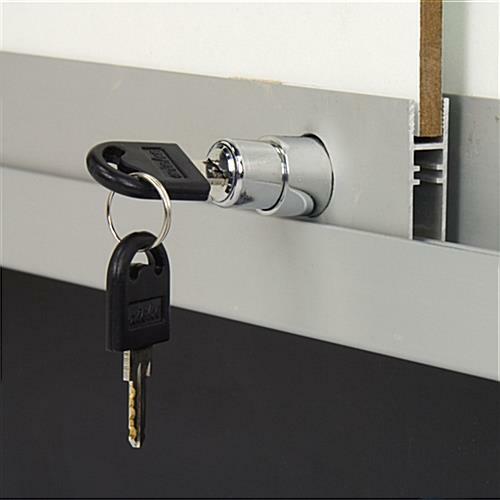 Rear sliding laminate doors feature a plunger lock to ensure only authorized personnel have access to the cabinets' items. 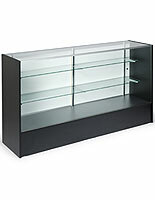 The glass display area in these cabinets is 29" high. 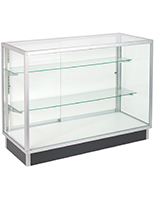 We ship these glass cabinets unassembled to save you money. By assembling the cabinets yourself, you are saving fees from warehouse assembly and shipping. You will also receive your glass cabinets quicker; these ship out the same day you order if your order is placed before 3PM EST. 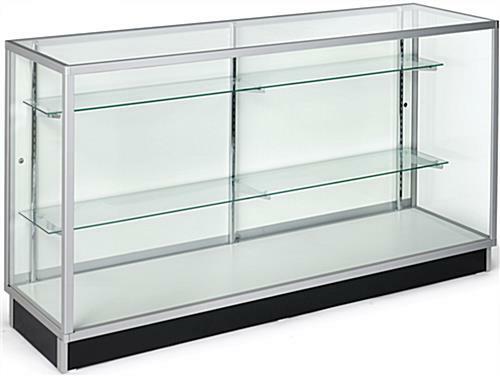 Assembled glass cabinets have a 2-day lead time.